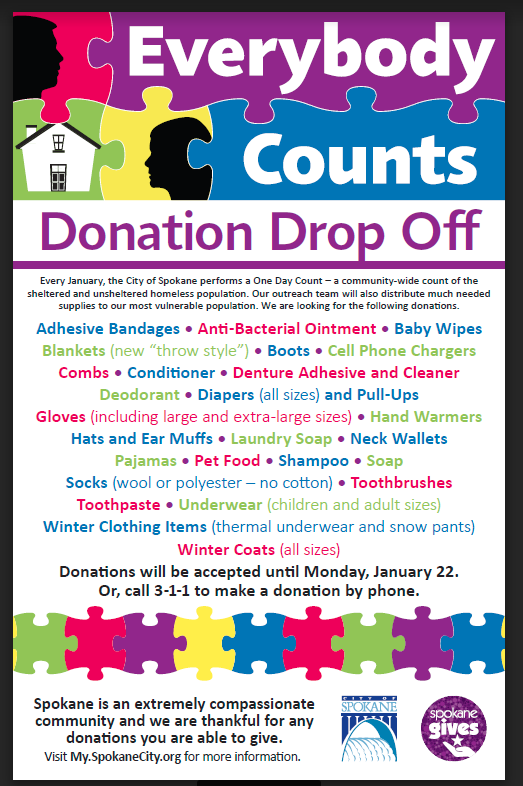 Spokane is seeking donated items to give to people experiencing homelessness as officials conduct this year's point-in-time count. Leading up to the city's annual point-in-time count, Spokane is asking for donated items that can be handed out to people experiencing homelessness as they are contacted for the count. The point-in-time count is intended to capture a snapshot of the scope of homelessness on a single day and gather data that can help the city and service agencies know where to focus their efforts. 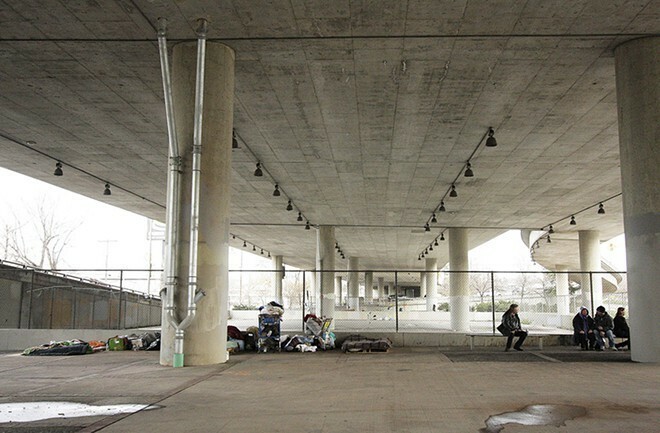 In late January the city will send out people to count and talk to people living in shelters, on the streets, and in other situations because they don't have homes. While they do so, the city wants workers to be able to hand out needed items to those they encounter, and that's where the city is asking for your help. Eastern Washington University Riverpoint campus, Spokane Falls Community College, Spokane Community College, Police Stations (north, downtown and south hill), Mobius (both locations), Downtown Library, Shadle Library, South Hill Library, Valley Library (all county libraries), Airway Heights Library, Argonne Library, Cheney Library, Deer Park Library, Fairfield Library, Medical Lake Library, Moran Prairie Library, North Spokane Library, Otis Orchards Library, Spokane Valley Library, The BookEnd (at Spokane Valley Mall), Umpqua Bank (all locations), Downtown Spokane Partnership (DSP), Spokane Federal Credit Union, Fire Station 1, City Hall, Spokane Housing Authority, Excelsior Youth Center, and United Way of Spokane.